These lectures were aimed at secondary schools (KS3, 4 and 5). They took place on 7th December 2015 in the Berrill Lecture Theatre at the Open University’s Walton Hall campus. 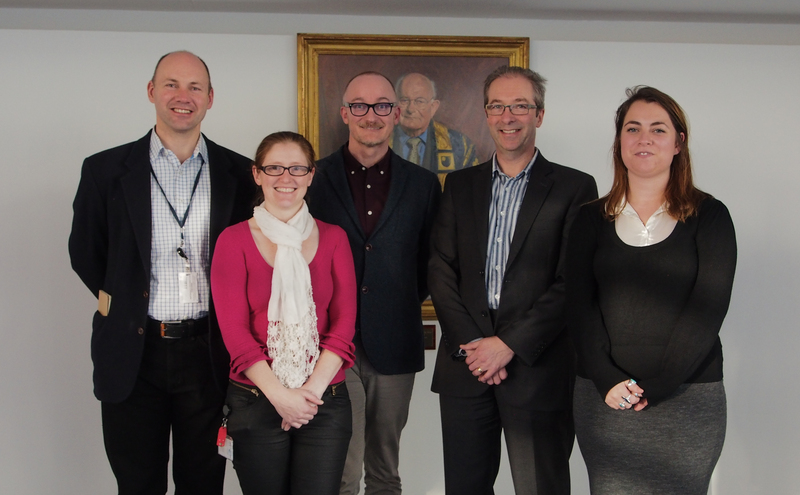 The 2015 lecturing team: l-r Dr Mark Brandon, Dr Ellie Dommett, Professor Richard Holliman, Professor Simon Kelley and Kerry Reid. Photo: Kate Bradshaw. To view the 2014 lectures, select: Science Matters 2014. To view the 2013 lectures, select: Science Matters 2013. In this programme of school lectures, jointly organised with the Denbigh Teaching School Alliance as part of the Engaging Opportunities project, school students from Milton Keynes and the surrounding region heard from four Open University scientists. These Open University scientists work at the cutting edge of research. Their talks were followed by an opportunity to ask questions as the four speakers returned to the stage for a panel Question and Answer session. Short summaries of the 2015 lectures are listed below with links to videos of their talks. The speakers are listed in alphabetical order. Key parts of the Antarctic and Greenland ice sheets are melting as our climate changes – but much of this decay is hidden. It’s not increasing air temperatures which are melting the ice, it’s where the ice is contact with the ocean. It’s easy to detect this melting using satellites, but to understand how the ocean is melting the ice and the melt rate we need to get in close to where action is – the point where the ice and the oceans meet. 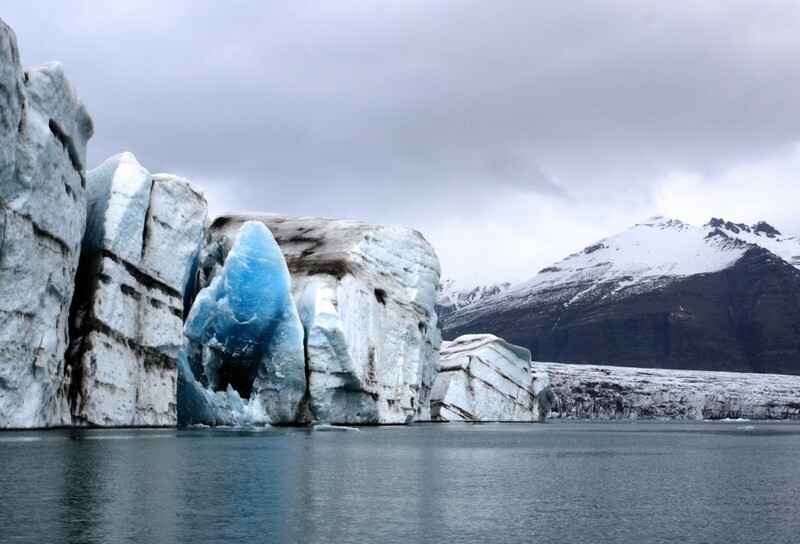 In my talk I describe what happens at these relatively small crucial boundaries, and explain why this is vital for the future of the ice, the future global sea level and ultimately for the climate of our planet. 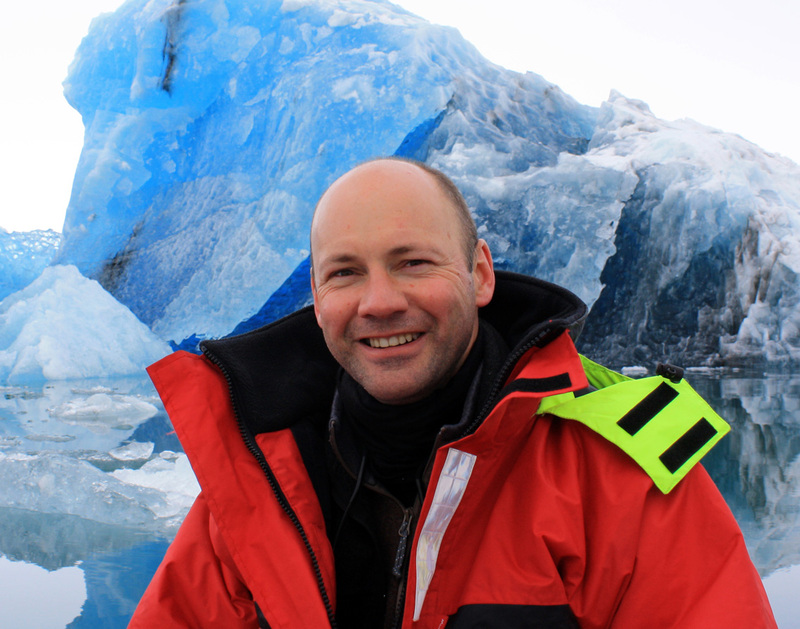 Mark worked at the Institute of Oceanographic Sciences before he got his PhD from the Scott Polar Research Institute (Cambridge University) and went onto work at the British Antarctic Survey and then The Open University. 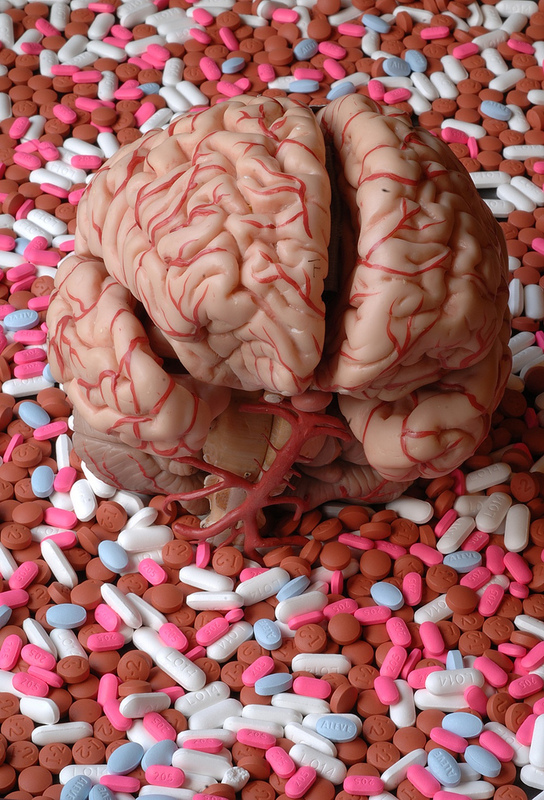 The brain is arguably the most complex organ in the human body and one that is excellently protected from outside intervention by the skull, membranes and cellular barriers. However, alterations to its normal function can result in a variety of medical conditions – from schizophrenia to Alzheimer’s disease. In many cases, these conditions can be treated effectively with drug treatments but the process of drug development is a long and costly exercise. In this talk I look at what makes the brain so hard to access and some of the ways scientists have got around to provide effective treatment. Ellie is a Senior Lecturer in Psychology at the Institute for Psychiatry, Psychology and Neuroscience, King’s College London. She holds a visiting position at the OU where she also teaches as an Associate Lecturer. The Earth has been hit by more large asteroid fragments than the Moon, but it doesn’t have a surface dominated by craters because plate tectonics actively resurfaces (I mean they get covered by mountains and volcanoes), and our thick wet atmosphere tends to cause erosion, removing all the evidence. But the truth is that the Earth’s surface has been potholed by thousands of asteroid impacts and they have devastating effects on the local and sometimes global environment. The 52,000 year old Lonar crater in India. Also, unlike the Moon, there is more to meteorite impacts on Earth than just a really big explosion and a hole in the ground. On Earth the holes fill with sediments, sometimes very quickly after the impact, so they record evidence for the post-impact environment and sometimes longer term climate change. In my talk I illustrate this point using the Boltysh Impact Crater in Ukraine which has an age strikingly similar to the famous Chicxulub crater on the Yukatan peninsula of Mexico, and both are co-incident with the end of the Cretaceous period. 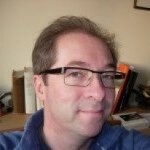 Simon is Professor of Isotopic Geochemistry at the Open University. His research interests cover a wide range of Earth Science including, rates of geological processes and noble gas geochemistry. Monitoring an active volcano in Nicaragua: from bubbly magma to smelly plumes! When most people picture an active volcano, they probably don’t imagine one like Masaya in Nicaragua. Instead, it’s likely that they picture Hollywood-style ash clouds and lava flows that wipe out massive forests and settlements. However, just as a violent eruption dramatically alters the landscape around it, Masaya’s plume powerfully shapes its environment, from destroying crops to attracting bees. The location for Kerry’s fieldwork, Masaya in Nicaragua. As a volcanologist, my job is to trace the path and fate of the gases released by the volcano, starting from the volcano’s magma and moving up through the plume. Knowledge of how volcanic pollutants are produced, how they travel and where they end up can help people live more harmoniously with the Volcano. In my talk I explain how my research can help provide a better insight as to what is governing the volcanic activity observed at Masaya, with the potential to improve evacuation plans and mitigation measures. Kerry is a second-year PhD student in the Department of Environment, Earth and Ecosystems at the Open University. 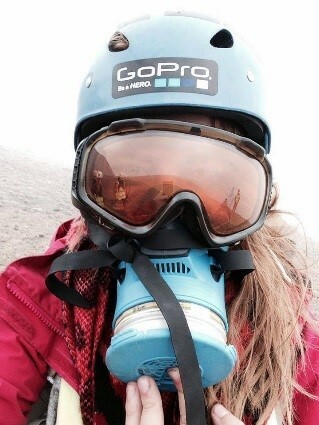 She is researching persistent degassing behaviour at Masaya volcano in Nicaragua.